Are crime rates rising or falling around the world? Are specific types of crime more prevalent in some cultures than others? Do different cultures vary greatly in their attitudes toward crime prevention? Students will find answers to these and similar questions in this unique resource of 15 case studies exploring the problems of crime and crime control in different countries, ranging from Germany to Ghana, to around the world. 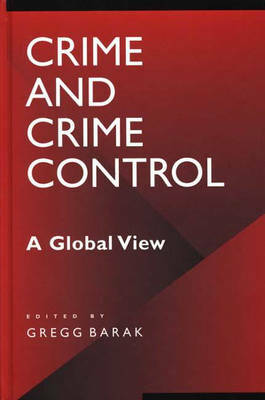 Cross-cultural comparisons examine the history, the public perceptions, contemporary problems, and the future of crime and crime control in each country. The comparisons also provide readers with the opportunity to discover both the many differences and the many similarities that exist among the different cultures in their rates of crime, forms of prevention, and attitudes toward it. Each of the 15 chapters opens with a brief overview, which includes the type of government and the living environment of the country to introduce readers to the population. The countries were chosen to represent every region of the world and to provide as broad a picture as possible when exploring the issues presented by the problem of crime and different cultures' efforts to control it. The user-friendly format of the volume, with each chapter following the same outline, makes it easy for readers to compare specific aspects among the 15 cultures. These different views of the crime problem around the world and what it means to different people will help students to understand it in a broad sense as a social issue that affects all of humanity.